Age 71, died on Friday, May 4, 2018. She was born on February 2, 1947, the daughter of Gilbert and Cornelia (VanLoo) Kinney and has lived her entire life in Kalamazoo area. Judy retired from the Kalamazoo County Sheriff’s office with over 30 years of service. She will be remembered as a person with a loving heart as over the years she adopted numerous retired racing greyhounds. Cremation has taken place and a memorial service will be held at 11 am on Wednesday (May 30) at the Betzler Life Story Funeral Home, 6080 Stadium Drive; Kalamazoo (269) 375-2900. 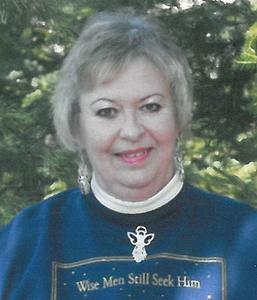 Please visit Judy’s personal memory page at www.BetzlerFuneralHome.com where you can archive a favorite memory of her and sign her online guestbook before coming to the funeral home. Memorial contributions may be made to any organization whose mission is to rescue retired greyhounds.